BEING AN ONLINE BRAND AND COMPANY IS AWESOME… BUT! We are in direct contact to you guys – with nobody in between. ALL OVER THE WORLD! 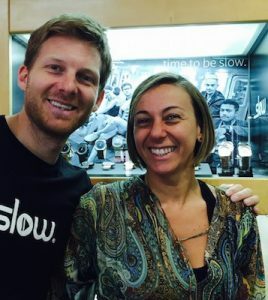 So you literarily talk directly to the founders of slow and get to know our ideas of what slow is in the purest and most undiluted way. 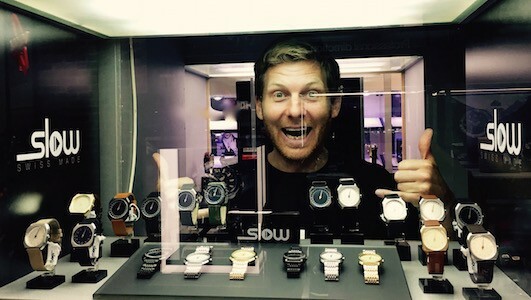 Also we can keep the company structure very lean and efficient so we can still offer slow watches at a great price point. But of course you guys often ask us where you can actually experience the brand in the REAL world. And guess what!? 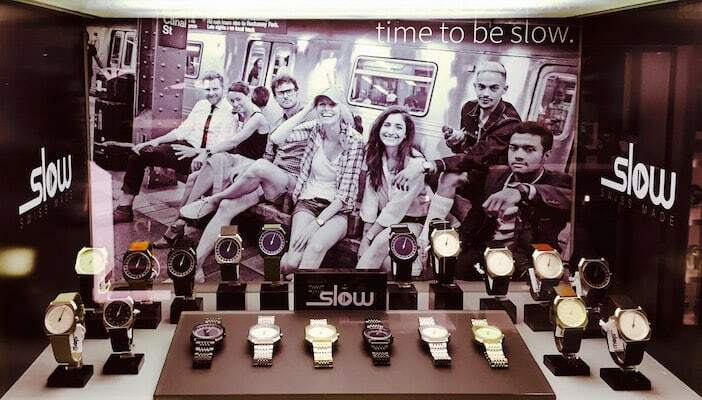 We just partnered up with some good friends to showcase slow in selected stores!! So you finally also can see the slow world in the real world! Haha, how fun this is and actually a great “distraction” for us to get away from the laptop and get our hands dirty to build up nice presences “offline”. Like when setting up the shop in Barcelona this week!! Look at this!! Doesn’t slow look just AWESOME!? Pass by if you have a chance: Relojerias Condal, Carrer Comtal 20, 08002 Barcelona.